His Warren business has built a reputation for making high-quality implements, using Maine wood, that had become hard to get. When Lie-Nielsen Toolworks opened shop in Warren in 1987, founder Thomas Lie-Nielsen was rattling around in there by himself. Now he’s got 85 employees, and the factory/store on the south side of Route 1 is a destination for serious woodworkers the way Red’s Eats is a destination for lobster roll fiends. We called him to talk about everything from the Maine-grown wood that makes the best chisel handles to the bizarre business that predated Lie-Nielsen in that location. OPPORTUNITY KNOCKS: After college, Lie-Nielsen worked as a tool salesman for a New York company, where he developed a mounting interest in tools. “In those days, there weren’t many tools available except for antiques,” he said. “The manufacturers had been cutting back on their quality, and a lot of times customers were looking for things that weren’t being made anymore.” He started with specialized edge planes – “just for trimming square edges” and much coveted by woodworkers. These planes hadn’t been made for 40 or 50 years. 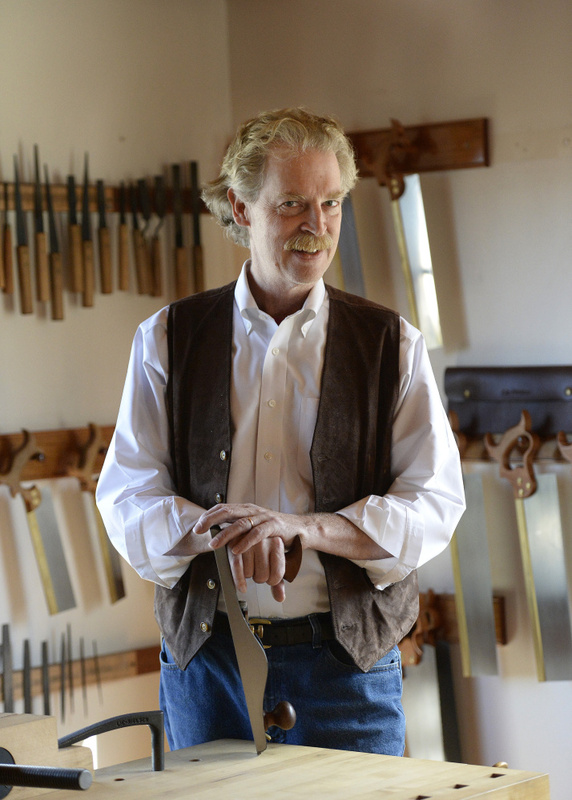 Today, he makes about 50 different planes, as well as saws, chisels and workbenches. Prices for the “basic plane line” range from about $100 to $400. Then there are the tourists who happen to be fans and do a double-take when they see the looming factory and showroom as they come into Warren. “There’s a lot of slamming on the brakes on Route 1.” They pop in and if it is a weekend, can take a class. “If people don’t know how to use their tools, they aren’t going to be able to get that much out of the experience.” The Center for Furniture Craftsmanship is right down the street in Rockport, so woodworkers can make a vacation out of a trip. So he uses sustainable native woods whenever possible, such as curly maple or cherry for the saw handles. For the chisels his preference is an “under-utilized native species” called hornbeam. What’s that? “It looks a bit like a scrubby elm tree but doesn’t get very big. It tends to grow in the understory. Six or 8 inches in diameter is a good size.” It grows throughout the state, but it took Lie-Nielsen a year to find a good source (in western Maine).